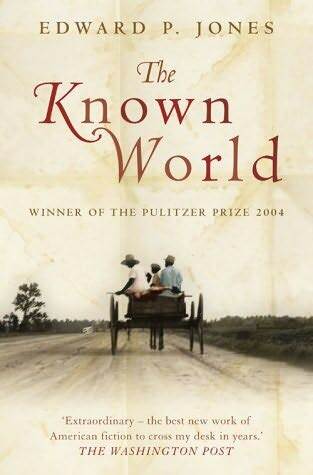 In the novel The Known World, Edward P. Jones explores slavery’s influence on individuals and material objects in the context of characters’ conflicting conceptions of time. Slavery acts as Bakhtinian chronotope, a system in which time and space are interdependent and responsive to each other. Though the death of black slaveowner Henry Townsend acts as the central event around which all other events, past, present, and future, revolve, The Known World’s narrative is guided by its objects. As the character Clara Martin says in the face of increasing unrest, “Time has no meaning anymore” (152). Individuals and objects, in which the abstract concept of slavery is made palpable, are the proper replacement for chronologically ordered events. They act as a strange and disordered map that mirrors the illogical institution of slavery. The Known World’s time is non-linear; certain events, separated by weeks, months, or decades, appear in the same paragraph, and they are not always neatly marked. Though Jones’s time shifts are written in conditional tense, not present, these temporal jumps are so prevalent in the book (and integral to its overall tone) that, present tense or not, time feels kaleidoscopic. And yet, for the most part, we stay in Manchester county, see it through the years, and are capable of observing its roads, its houses, its agriculture and, importantly, its material objects past the time of slavery. A character’s experience of time in The Known World is married to that character’s identity. When Bakhtin discusses self-consciousness in his discussion of ancient Greek biography, he is interested in the relationship between a character’s internal conception of time and space and the larger, external chronotopes of their world. For a slave, a human without the complete freedom of time or space, limited by society in their ability to change, to “become,” the discord between internal and external time is colossal and, in some ways, permanent, despite societal changes. When Stamford, post-slavery, meets the adult Ellwood in Richmond, he realizes “for the first time just how far they had come.” And yet, this is not an easy belief for a human whose personal chronotope has long been at odds with the world: “Stamford, it don’t matter now, he told himself….the day and the sun all about told him that was true. It mattered not how long he had wandered in the wilderness, how long they had kept him in chains….none of that mattered now.” How can a human let go of the past when all space, all objects are bound to it? Space, in this way, can be a prison. Stamford acknowledges that his new conception of freedom is hardest on “days when the now came dressed as the then” (354). How can a human gain distance when the movement of time is insufficient for change? The novel’s central circumstance, in which a black man lives in a plantation home and owns slaves in 1855, is a violation of our common conception of slavery’s strictly defined spheres. If one goal of the chronotope is to allow us to see where we are in time based on where we are in space, Henry’s prosperity and location (out of the fields, in the large house) seem to place us in a time outside of slavery. There is a sense that we are both on the precipice of great change and in a very unstable situation. How is slavery defined when its borders have changed, when space is less restricted for black individuals? A useful way to conceive of slavery as a chronotope in The Known World is to look at the ways in which individuals define the line between the slave owners and the enslaved, specifically through what Bakhtin calls the “literary image.” Bakhtin says of the literary image’s role in a chronotope, “Those things that are static in space cannot be statically described, but must rather be incorporated into the temporal sequence of represented events and into the story’s own representational field.” Jones’s literary images establish and enforce the human hierarchy essential to slavery’s perpetuation. But the objects designed to oppress or give freedom to human beings are deeply fragile: most are made of paper or wood. They are destructible, flammable. Jones floods these items with time, revisiting them in the past and future through the eyes of his characters. Tessie’s wooden doll, for example, outlasts Elias, Tessie, and slavery, but never leaves the institution behind entirely. Slavery exists in objects, and history is still palpable, if warped somewhat by temporal distance. Objects like the doll could not be meaningful objects of representation without time’s movement and its influence. Augustus Townsend, Henry’s father, is a character whose life has been defined by these materials. Augustus makes wooden furniture, and one of his oak bookcases stands in Sheriff John Skiffington’s living room. We learn that Augustus made the bookcase after buying his freedom, and had hoped to keep it for his family and the books that they might one day own, though they could not yet read. But Augustus must sell the bookcase for the money to purchase his wife and son from William Robbins (279). The bookcase was meant to be kept as “a symbol for his determination” to free his family, and though it remains a symbol of that determination, it instead sits in the sheriff’s home, holding Skiifington’s Bible, his Shakespeare, his wife’s leather-bound books. The bookcase’s story, its items, and its location all tell us where we are in history, where we are in time and society. Additionally, Augustus’s “free papers” are all that separate him from freedom and slavery in a world without proper law enforcement. On a whim, Harvey Travis easily destroys Augustus’s papers by eating them, and Augustus is sold. Though Sheriff Skiffington recognizes that the destruction of the free papers doesn’t negate freedom, it may as well do so. These papers carry enormous weight, can define a person. Other papers classify individuals: both the Robbins and Townsend plantations have a “big book” listing family trees, hierarchical positions among the slaves, and dates of birth and death. These books change over time as people die, are born, are freed. And Counsel Skiffington’s Bible is one of the novel’s most fascinating objects. In the Bible, the names and birthdates of Counsel’s children are written in ink that will supposedly “outlast” him. However, disease kills the family, the slaves, and much of the livestock. Counsel burns the house and, along with it, his Bible. The destruction of his house (built from wood) his library of books, his Bible, all the fragile materials that define him, sends him onto a chaotic and surreal journey to Texas that is, essentially, timeless. It has few markers aside from morning and night, and its duration is unclear. Nowhere is the Bakhtinian chronotope more apparent than in Jones’s use of maps as indicators of human and social boundaries in the time of slavery. When we first encounter the words “the known world” in the novel, we are learning about a map that Skiffington has hung on the wall of the jail. One of his prisoners, Jean Broussard, says, “I get you better map, and more map of today. Map of today, how the world out together today, not yesterday, not long ago” (174). We learn that Skiffington’s map is missing Florida and features a shrunken and misshaped North America. But Skiffington has assembled his map from twelve heavy parts, and is stubbornly loyal to it. The map’s incompleteness is of no consequence to him, even as time marches on and the continents’ borders are discovered. And so it is for many of The Known World’s characters: change on a spatial level is frightening, a challenge to the work that has gone into the assembly of daily life, of slavery, of the boundaries between master and slave. The Known World has a curious interest in late-20th century historians and their publications. In one strange section, Jones writes about a historian “drawn to the quirks of the county” who writes about both John Skiffington and two-headed chickens. We learn that the historian eventually becomes a full professor at Washington and Lee University after the publication of her book (44). The juxtaposition of this seemingly inconsequential information with the dramatic section break that follows indicates some statement on Jones’s behalf. This isn’t merely humor, though this peculiar celebration of success in academia in the context of a book on slavery is humorous. Rather, it is a comment on temporal distance, on how time and the act of writing push us farther from the actual events. In the historian’s book, there is no hint of the great complications and violence of Skiffington’s life. However they are imbued with history, with human emotion and experience, paper, text, objects, and time can also act as a wall, hiding us from the actual events. Jones introduces this as a potential ethical problem when Moses tells Caldonia false stories about her deceased husband. The narrator disapproves of “telling tales” about the dead. It is another reminder of the tissue-thin line between a lie and the truth, between what is known and what is unknown, between enslavement and freedom. All citations refer to Jones, Edward P. The Known World. New York: Amistad, 2003. Tags: bakhtin, chronotope, edward p. jones, fiction, the known world, theory. Bookmark the permalink.